My friend's daughter had a birthday and my niece, Alana, was invited. She wanted to make her a card and she wanted me to make a card and a gift as well. She wanted to pick out the papers for it. We started with the notebook - which is a simple composition book. Alana insisted on picking out the paper. We scrolled through her stash of scrapbook paper that I had given her. She ended up picking the one above. I apologize but I do not know what brand name the paper. I covered the notebook and then we tried to figure out how we were going to decorated the front. We decided on that fancy "L" you see on the front that I cut with my Silhouette. We added some flowers and a butterfly made from Modge Podge Melts. I hand-stitched the bookmark from some ribbon, a PTI button, and a small rubber band. This is Flutter Anya from The Greeting Farm. She is stamped onto watercolor paper and colored with Twinkling H2Os. DP: I cannot remember the company. I believe it might be My Mind's Eye. 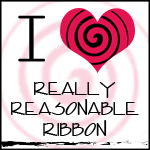 Ribbon: I bought that awesome ribbon at a yard sale. It's a super huge roll! Birthday Wishes stamp: Studio G.
You can't really tell from the pics but I added Stickles to the wings. The purples are gorgeous and the card is just too cute. The layout is great. Thank you for sharing this beautiful creation with us at Word Art Wednesday. I want to pray for ‘Multiplied Blessings’ including, but not limited to Peace, Prosperity and Health to you and your whole household during the 12 months in 2014. Thank you! Blessings, Peace, Prosperity and Health to you and your family as well!!!! These are wonderful projects! Hope your niece had fun at the party!! The colors are lovely! Thanks for playing with Milk Coffee! Great job, hun! Love the notebook and the card is pretty as well! Thanks for joining us at Milk Coffee! Good luck! Great ways to use ribbon! Showed them of so well. Especially love the one on the note book! Thank you for joining our challenge at Brown Sugar this week - good luck! Thanks for joining us at Stampin' For the Weekend for our Anything Goes Challenge - hope you can join us again soon!